Although a little lie in at the weekends has become a norm since the “kids” flew the nest I always struggle if the sun is streaming in from behind the blinds. So we decided to get up and about with The Lad for a gentle stroll and perhaps some breakfast…..would it be possible to even sit outside? We headed off to Harrogate and arrived around 9.15 am, parking was easy but D was obviously feeling generous as she fed the meter even though it is free parking on Sundays. However on such a beautiful day such things just us make smile. 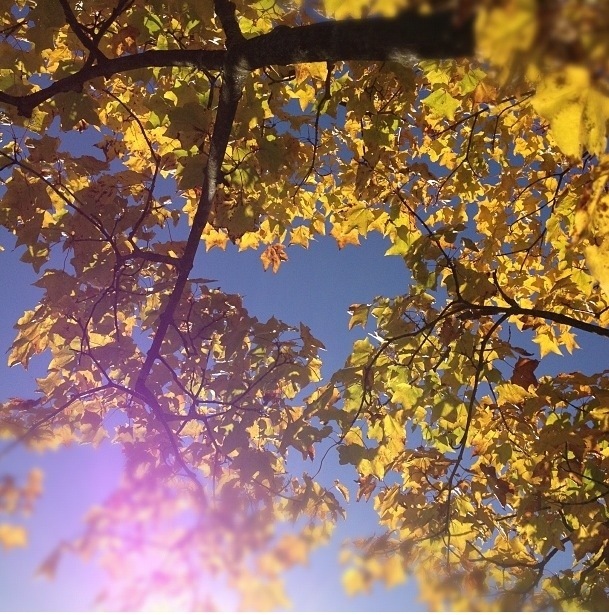 We wandered around the stray taking pictures of the trees which were in the early but stunning stages of autumnal glory. 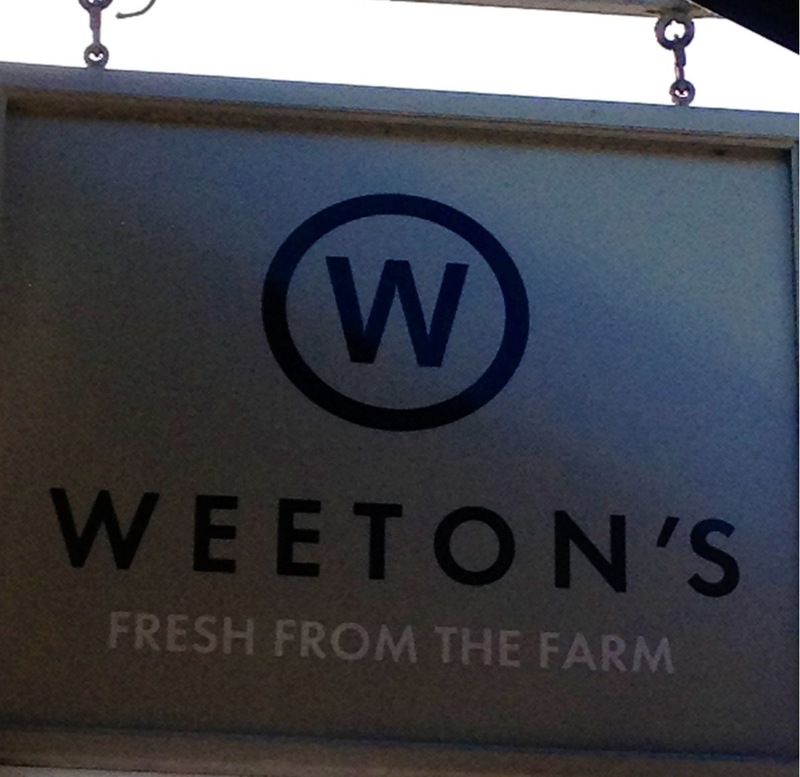 After 45 mins we ended up at one of our favourite deli’s, Weetons and took a table outside. 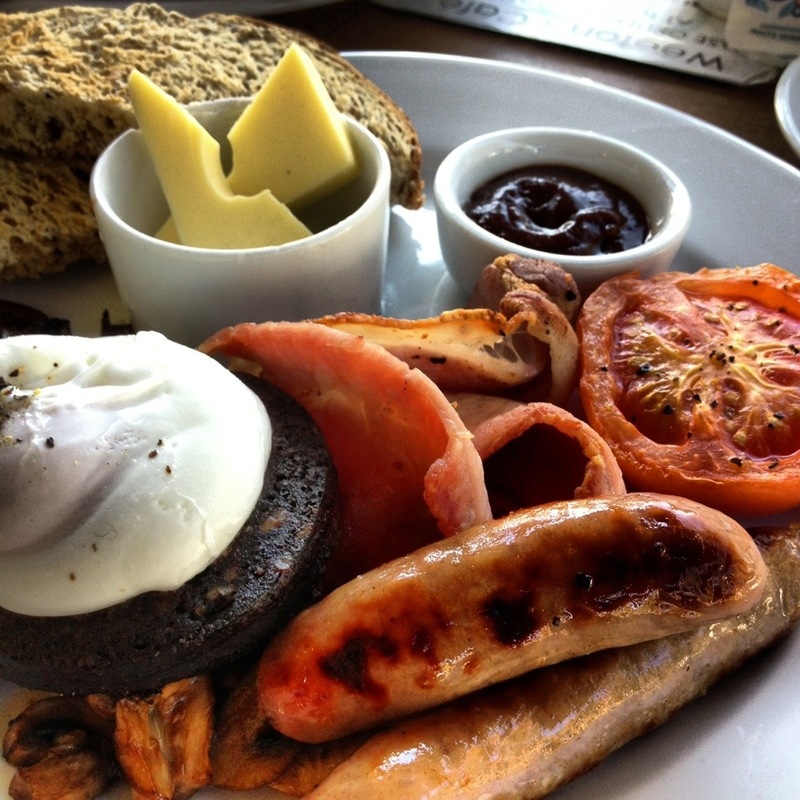 We ordered a mix of breakfast and Earl Grey tea (try it) and two full English breakfasts, at £9.50 each our expectations were high, no need to worry though as it was cooked to perfection and it tasted as good as it looked. We decided to invite the kids for a late lunch. Weeton’s has a fabulous delicatessen, cheese counter and bakery not forgetting to mention the choice of wines and chocolates on offer. Decision made, starter of olives with garlic and chilli, sweet garlic and freshly baked bread then pasta and meatballs for main followed by bannoffee pie and cream…£25 to feed six people..stuffed to the brim. What a lovely day. Last night we ventured out to Light Night Leeds. 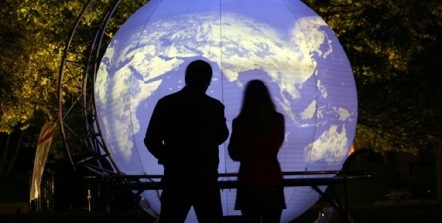 One night, a night when the city’s artists, makers and performers get together to transform the streets of Leeds and buildings in an unforgettable evening of exhibitions, installations and events. The bonus been, it wasn’t raining! Millennium Square was bustling; silent black & white horror movies playing on the big screen, light shows on pavements and street food by talents such as Manjit’s kitchen, Pizza pod and Lulabelles. At 7pm we watched zombies dancing outside our Town Hall and later we went to Get Stuffed – no not food this time but a photographic exhibition with a taxidermy photo booth! 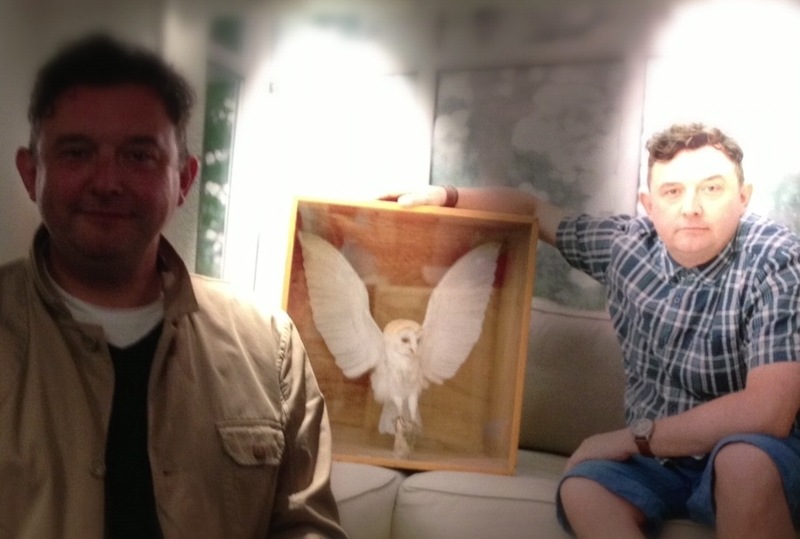 Over the past few months families from West Leeds each adopted dead pets from the Artemis taxidermy collection and if you wanted to you could adopt a Get stuffed ‘thingy’ …adoption welcome … for Leodis the Owl that is, not Phil!! Afterwards we went to the Town Hall Tavern, there was a good buzz with lots of people drinking and eating. 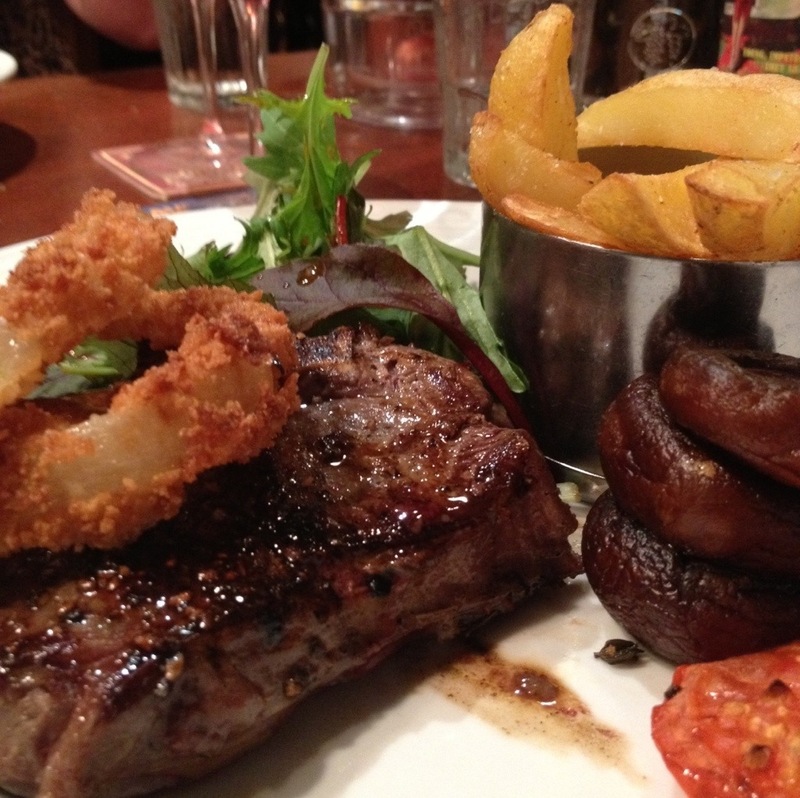 The food is excellent gastro pub food. The service was efficient despite the the fact every table was taken. I think the pics speak for themselves…. We didn’t have great expectations about the food in the Canary Islands, or more specifically Tenerife, when we booked our cheeky week in the sun a few weeks ago. It’s not the sort of place that one hears a lot about in foodie circles but we knew the weather would be good and we would have a chilled out time and that was good enough for me. On consulting Trip Advisor, we knew there were some decent places near where we were staying but again if I’m being totally straight, I don’t trust Trip Advisor these days – the reviews veer from 10/10 to ‘never again’ – pretty much across the board. I take TA with a pinch of salt and rough rule of thumb. I’m pleased to report that the food in Tenerife was satisfyingly Spanish when you hunted down the authentic places. Of course it caters for the mass market tourists who flock to the island and as a consequence the cuisine wasn’t as 100% authentic as mainland Spain, but very good in parts. We stayed in a fairly newly developed (as in 10 years or so) part of the island called Costa Adeje that’s a fairly quiet spot, away from the lively resorts, perfect for couples and families, away from the hedonistic 18-30 types. 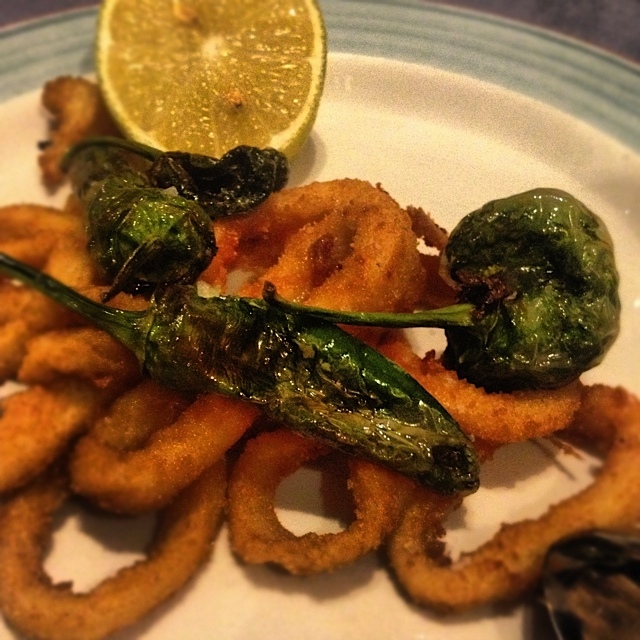 What’s not to like about a yielding tube of spanking fresh calamari in a burning hot crispy outer? That’s right, nothing. Especially with an ice cold rosado after a long hot day in the sun. 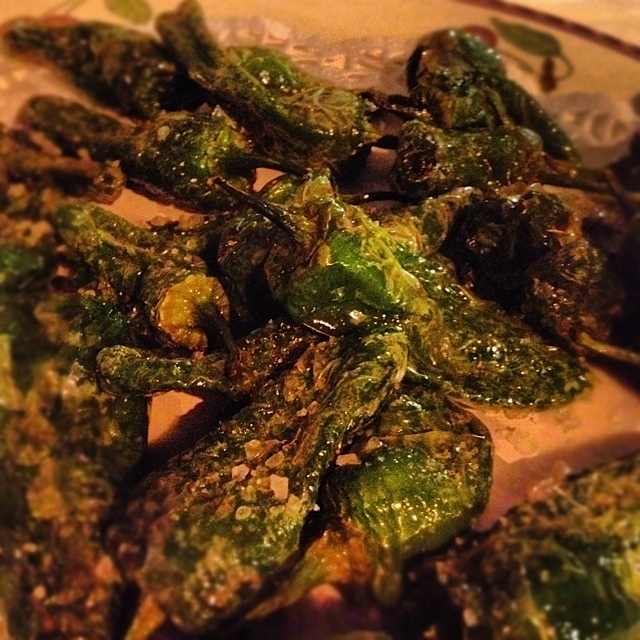 And why not throw in some pimiento de Padron whilst you’re at it? Go on then. 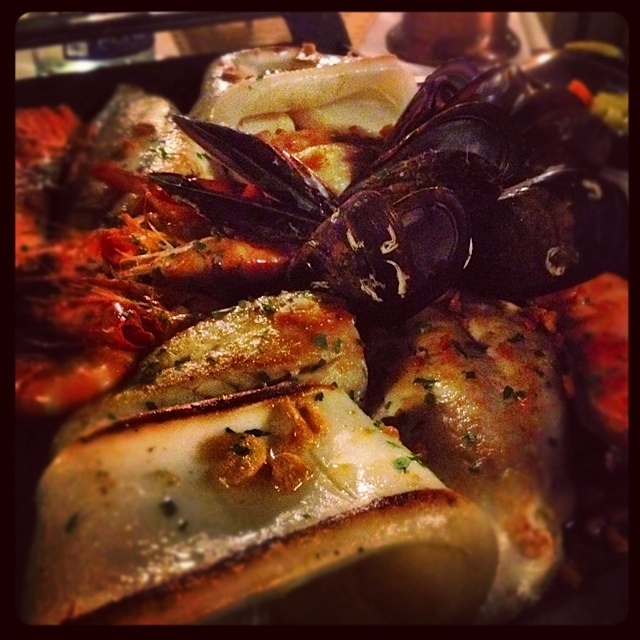 At La Vieja ( recommended on Twitter whilst we were there – thank you Twitter), how about a gigantic tray of grilled seafood with enough garlic to sink a French battleship? Why not, it’s fresh and washed down with a local Lanzarote blanco. It’s what we will dream about all winter long. 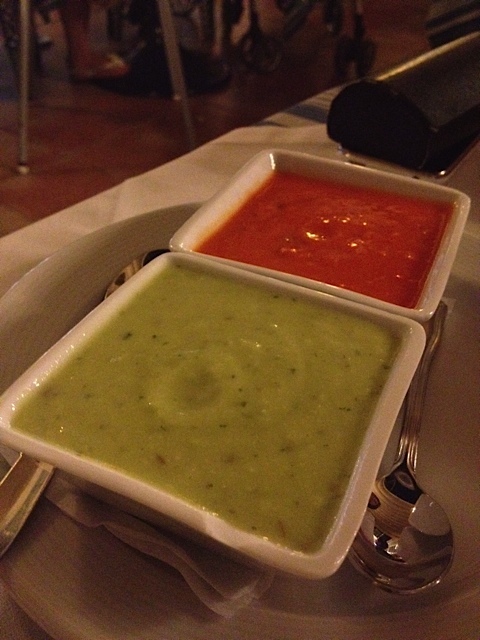 Tenerife is big on two sauces called Mojo (pronounced Mo-ko). It’s here where you begin to see the South American and Portugese references in Canarian cooking. The red sauce is piquant but not off the scale and the green sauce is like a thin guacamole. Served as a pre starter with bread they are heavily laced with garlic and hard to resist. Good with fish too. Nice swanky lunch at The Mirador (look out tower I think). This more expensive but worth it meal was a delightful affair with fresh Dorada and tuna escabeche (more Portugese vibes) overlooking an azure ocean. 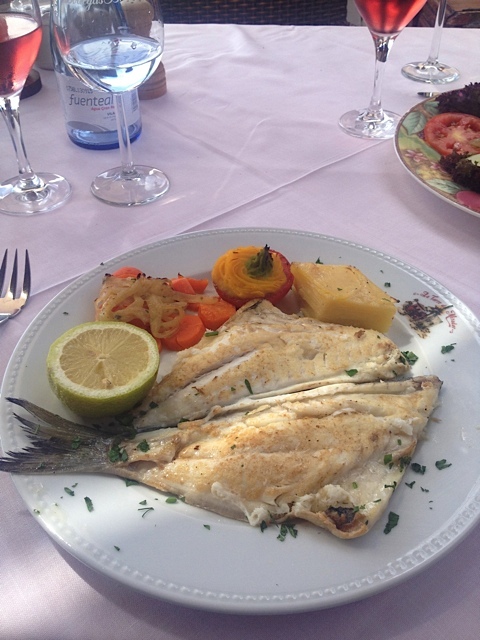 My dorada (sea bream) was delicate and cooked to perfection and J’s tuna meaty and satisfying. 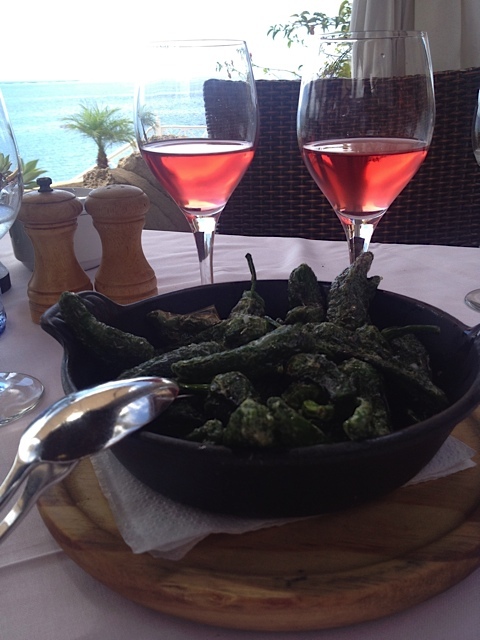 The shared starter was the inevitable padron peppers (there is a theme here) with a perfectly dry and crisp local Canarian rosado. 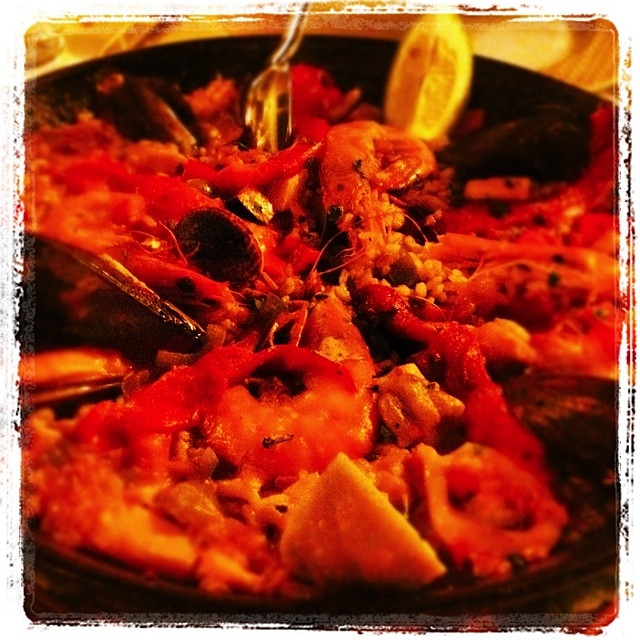 A trip to Spain wouldn’t be complete without Paella. And what a Paella this was. The highly recommended Masia del mar, right on the seafront in La Calieta, was the perfectly relaxed Spanish family restaurant where the seafood was sat waiting on ice or in tanks to be cooked and the diners sipped wine aimlessly, waiting to be served and enjoying the views. The paella was the best I’ve ever had: deep fishy notes underpinned the freshness of the fish, clearly the fish stock was of the highest quality. It was moist, satisfying and incredibly good value at twenty eight euros for two (about £12 each). 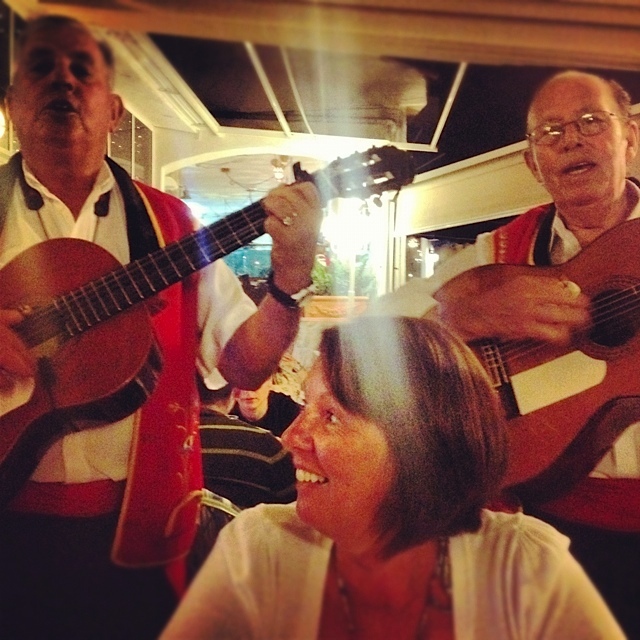 And on top that, the lovely wife was serenaded by four cabarellos which oddly, but touchingly really made our evening. To sum up, there’s cheap and cheerful pizza (that’s actually ok), decent but cheap Bocadillo sandwiches with Serrano ham and Manchego and amazingly fresh seafood that’s out of the top drawer. It’s not all ropey tourist crap – but don’t panic there’s plenty of that if you care to seek it out – but overall Tenerife caters for all tastes, including food snobs like me. 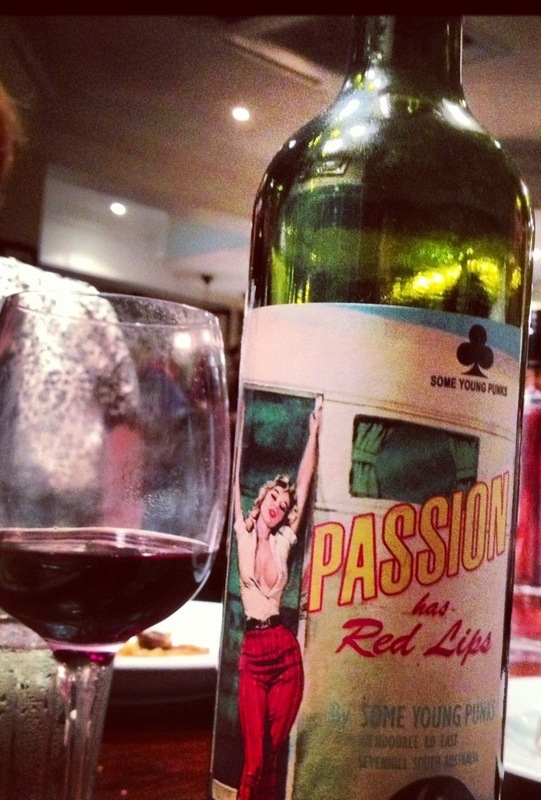 Finally, more Padrons – what can I say, I’m obsessed.